The first “Within the Shadows” video is here! To celebrate our newly-released Lovecraftian horror anthology, Shadows Over Main Street Volume 2, our intrepid editors, Murano and Ward, have put together the first of several “behind the scenes” video interviews with selected Shadows authors, wherein each author discusses the inspirations and thoughts behind his or her individual story. In the first video, Douglas Wynn talks about “Something in the Water.” Watch it now! Make sure to check back often at the Shadows Over Main Street website to see when the next video is posted. Shadows Over Main Street, Volume 2 — Who says you can’t go home again? Shadows 2 – Goodreads Giveaway! 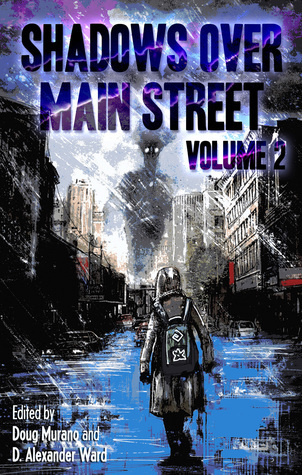 Cutting Block Books is proud to sponsor a limited-time contest to give away free copies of Shadows Over Main Street, Volume 2, which will be released on October 13. This is the second small-town Lovecraftian anthology brought to you by the Stoker-nominated editing team of Doug Murano and D. Alexander Ward. To enter the giveaway, just follow the links below. Good luck! Giveaway ends October 22, 2017. Recently we sent an advanced copy of our upcoming anthology, Cutting Block Single Slices, Volume 1, to the legendary Jack Ketchum, the 4-time Stoker-winning author of dozens of horror novels and short stories, and winner of the 2011 Grand Master Award for outstanding contribution to the horror genre. Much to our delight, he read the book and loved it! He said it was “a tight collection of talented writers, exploring the dark and lonely,” and he gave us permission to quote him publicly. So there you have it, folks: if Jack liked it, why won’t you? Single Slices is available for pre-order now, and will be released everywhere on August 25th. Get your Slice today! From the publishers who brought you the multiple Bram Stoker Award® nominated Horror Library anthology series, now comes Cutting Block Single Slices, Volume 1 — a new collection of slightly longer short stories that will make it hard to sleep with the light off. From a classic possessed puppets story, to mysterious green mists and gods wreaking havoc, to an old-style Hollywood ghost and other supernatural horrors, this collection brings you stories you’ll enjoy from skilled horror fabulists such as Marsheila Rockwell & Jeffrey J. Mariotte, John F.D. Taff, Tom Johnstone and others. We can’t wait to bring you these stories! Horror Library Volume 6 – Release Party at StokerCon! Cutting Block Books will be throwing a release party for Horror Library Volume 6 this Saturday, April 29, from 10 PM to midnight, at StokerCon 2017 in Los Angeles. If you’re attending the convention, come by and say hello! We’ll be in the King’s View room aboard the Queen Mary, right next to the Stokers after-party. Snacks and a cash bar will be available. Get there early, and while supplies last enjoy free drink tickets, courtesy of Cutting Block. 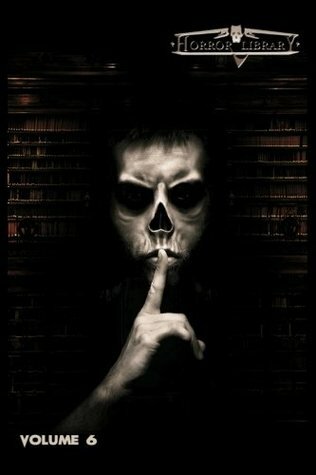 Help us celebrate the arrival of the newest Horror Library! Cutting Block Books is proud to be a sponsor of the special Brian Keene / 3 Guys With Beards crossover podcast episode. Click here to give a listen to one of the most popular horror podcasts on the interwebs! For your enjoyment… the folks over at This Is Horror have posted part 1 of a podcast interview with John F.D. Taff, our friend (and contributor to the Horror Library series), and author of The Desolated Orchard, our third Single Slice.